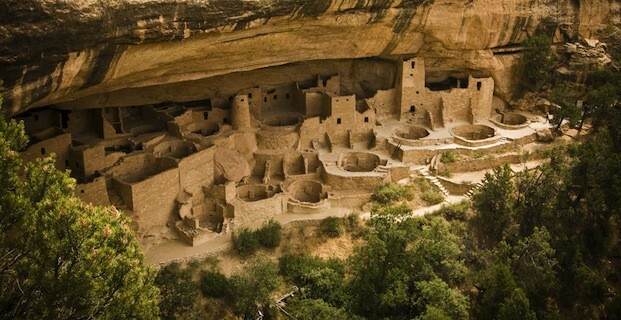 The Mesa Verde National Park is found in the United States of America. It is found in Montezuma County in the State of Colorado; and Mesa Verde is an American National Park as well as a UNESCO World Heritage Site. The park is currently the biggest archaeological preserves in America today. President Theodore Roosevelt in 1906 established the park and this was to help protect and preserve the cliff dwellings in the area and some of the very best in the world also. He called them the works of man and the President was very proud of the park also. Though, the park still remains a cultural National Park; in fact it was the first park. It currently stretches over 81.4 square miles and there are so many different ruins of villages and homes found in the Four Corners of the park. Currently there are more than 4,000 archaeological sites found at the park and at least 600 cliff dwellings also in the park. There is a complete 52,400 acres of land in the Mesa Verde National Park. This is found in south west Colorado and the many amazing canyons have all been created because of the erosion from the receding water ways, and ancient oceans also. The elevations in the park can range from 6000 to 8572 feet. The climate of the Mesa Verde National Park is fairly arid. Most of the water source is from the summer rains and winter snow falls also. It was said that the Anasazi used to inhabit the region for many years; though evidence suggests that the people left before the 15th century. However, they made up most of farmers which grew crops; and most famers cropped corn and it was a large part of their every day diets also. Most of the men in the settlers were in fact hunters so that their diets could be expanded to meat products also. The women of the groups spent their days basket weaving and pottery also; and the artefacts were in fact high prized. Though, there are no written records of the group through their groups. In 1190, the people started to build the cliff dwellings in which the park is famed for. These structures are found in the caves of the park and were built expertly also. 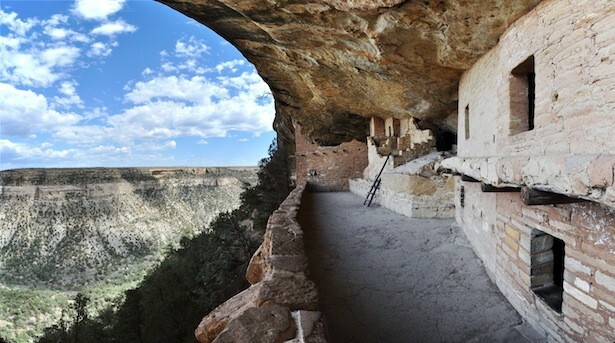 Though the largest cliff dwelling is going to be the Cliff Palace and it is one of the most visited sites of today. In 1756, an expedition of the region near the park under Don Juan Maria de Rivera. During the expedition, the ancient ruins were seen however the expedition didn’t note down any notable proof of existence of these that would clearly mark these ruins out in their journals. This was the first white man expedition from New Mexico. In 1886, a newspaper, the Denver Tribune created and published an article which suggested the creation of the area to become a national Park at the archaeological site. In 1906, American President Theodore Roosevelt approved the parks creation. In the 1930’s-1940’s, the civilian conservation corps started to exclave the park and create roads and rails also. In 1966, the park was named on the National Register of Historic Places. In 1978 the Mesa Verde National Park was named a World Heritage Site. In 1987, the Mesa Verde Administrative District was put on the National Register of Historic Places. In 1996, 2000, 2001, 2002 and 2003 the park suffered from wild land fires. The spruce tree house – this is going to be opened throughout the year if the weather is good of course. The Chapin mesa archaeological museum – this part of the park can be opened all throughout the year also. The balcony house, cliff palace and long house are all amazing places to visit. However, these are ranger guided tours and visitors will need tour tickets to go on these tours also. Dwellings throughout the park can usually be seen from the road; however some of the dwellings aren’t open or available to the tourists. Hiking trails – there are many great hiking trails to use. Facilities for food – this is usually only during the peak seasons. Lodgings and fuel stations are also available during the busy seasons of the year. During the winter all of these things are not going to be available to view. There is a federal exclusive jurisdiction over the park; this means that the federal National Park Service Law Enforcement Rangers will handle every emergency in the park. All of the services such as fire for wild land and structural as well as medical and law enforcement services also. Across from the Mesa Verde National Park lies the Ute Mountain Tribal Park which is almost 125,000 acres all along the Mancos River. This helps to bring history, culture and knowledge about the people who lived in the area years ago. In 2008, the Colorado Historical Society invested seven million dollars into a new project to culturally modify trees within the park. 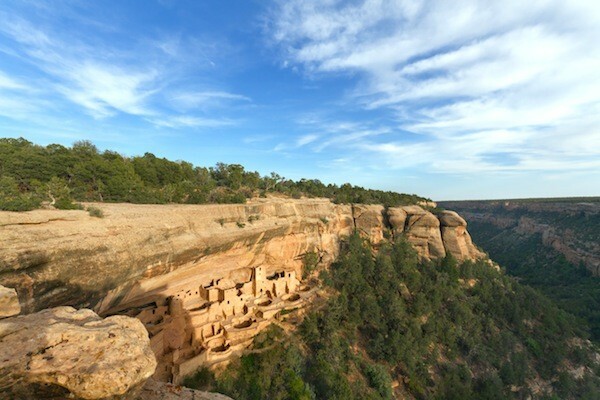 The Mesa Verde National Park is certainly a lovely area in which thousands visit every year. The park is going to be one amazing park to visit and there are so many amazing sites and scenery to view today. There is a huge history when it comes to learning who lived in the area and how they managed to receive water from the rain is truly amazing. Many do love the park and it has so many things to explore also today.